Nottinghamshire Police has become the fifth UK force to adopt a next-generation command, control and communication system, found in some of the most hi-tech control rooms around the globe, to help to transform the way it operates. It combines all of the functions required of a modern control room into a single unified software application, including multi-channel communications, contact management, command and control, radio dispatch, mapping and resource management. It can be hosted locally or in the cloud and can be deployed on fixed, web and mobile platforms. When the system, purchased under a procurement framework by the East Midlands Strategic Commercial Unit, goes live in early 2020, the unified solution will replace several of Nottinghamshire Police’s legacy control room systems with a single modern software application. It will help operators to manage all incidents reported by the public via 999/101 calls, email and webchat. Cheshire Constabulary was the first force to go fully live with the SAFE platform, which is provided by Swedish defence and security company Saab, earlier this year. Warwickshire Police, West Mercia Police and Cumbria Constabulary are due to follow in early 2019. 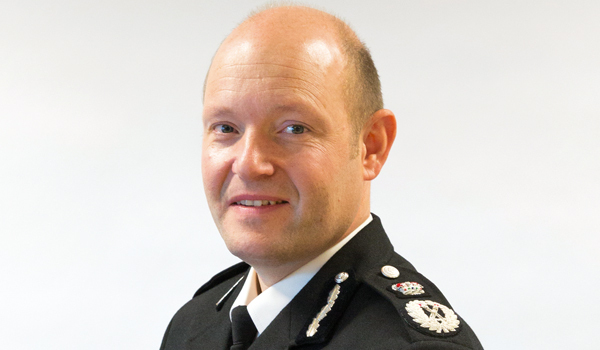 Nottinghamshire Police Chief Constable Craig Guildford said they were “delighted” to be investing in the new command and control system, adding: “It’s an exciting move and it will bring major improvements to our ability to respond to incidents. With its multi-role capability and intuitive workflow-driven user interface, SAFE will increase force efficiency through multi-channel public contact, intelligent resource management and officer dispatch. Officers in the field will also be able to access and update incident details as well as capture and share information via a mobile app. Nottinghamshire’s police and crime commissioner, Paddy Tipping said: “This is a tried and tested system that will bring together all the different ways in which people can report incidents to the police, boosting efficiency and helping to improve the service provided to the public. Saab says the ability to integrate multiple communications systems and diverse intelligence sources, plus the sharing of data with partner agencies, is pivotal in the provision of a modern service. Simon Read, director of public safety at Saab UK, said the system’s ability to enable its users to make better informed decisions faster will reduce cost, increase operational efficiency and enable the force to provide a better service to the public.